Things have been real busy in Fortnite season 5. At the end of season 4, a rocket opened up a dang space-time rift in the map, and now people are running around with miniature, pocket rifts after a lightning storm closed the big one. Once the lightning storm ended, the final strike caused an ominous, purple cube to appear. Then, the cube started moving across the map. People have been tracking the cube’s trajectory and trying to determine where it will stop, but that’s not all. People have also been trying to get inside the thing, despite being forced away upon getting too close. Well, perhaps by accident, or through sheer force of will, a Fortnite player and a friend managed to brute force their way inside. Inside the Fortnite cube, they found a big ol’ pile of nothing! It’s just what you’d expect to see when you accidentally clip into an object in a game, which is a panicking camera and empty, black space. In a brief video clip posted to Reddit, once the players glitch their way inside the first time, they’re able to go in and out as much as they want, and the result does not change. If you were hoping an early clue to the cube mystery was hidden inside, we hate to be the bearer of bad news. 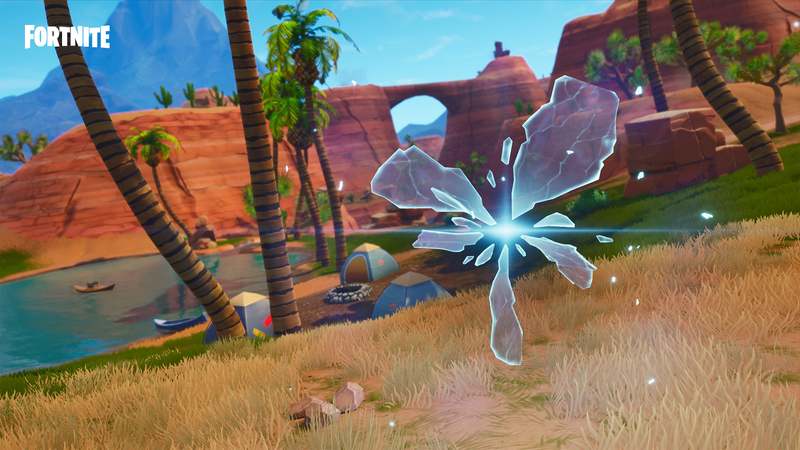 This doesn’t rule out the chance that the cube is hiding something, but it does mean Epic Games didn’t plant the answer to the mystery into the game already. For now, everyone will have to get back to the original task of following the thing as it moves.